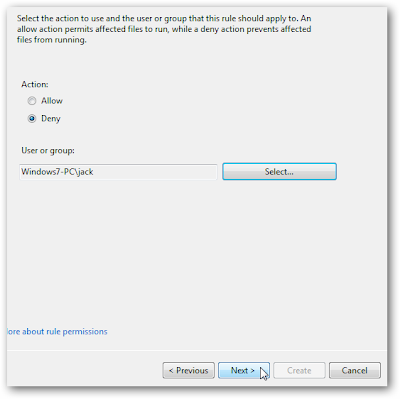 If you share a computer and don’t want other users accessing certain applications, there is a new feature in Windows 7 that allows you to block them. 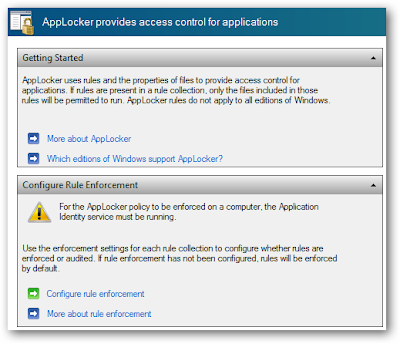 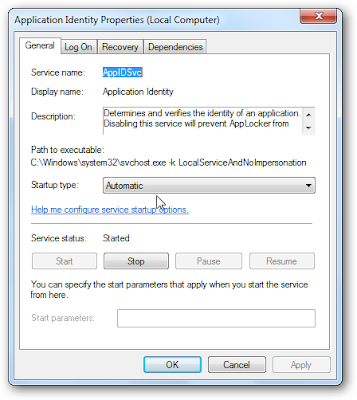 Today we take a quick look at restricting what programs other users can access using AppLocker. Note: AppLocker is only available in Ultimate and Enterprise versions of Windows 7. 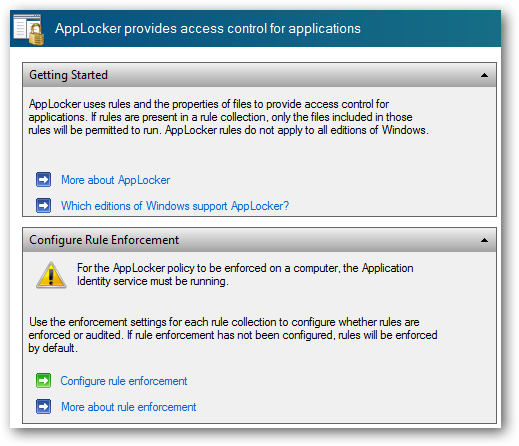 To access Group Policy Editor and create rules in AppLocker you’ll need to be logged in as Administrator. 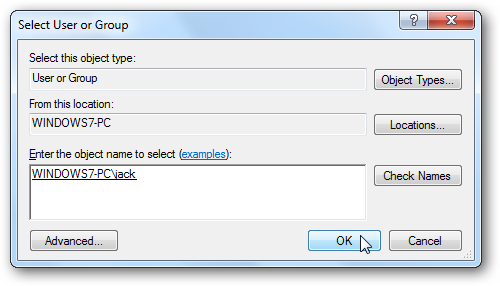 Click on Start and type gpedit.msc into the search box and hit Enter. 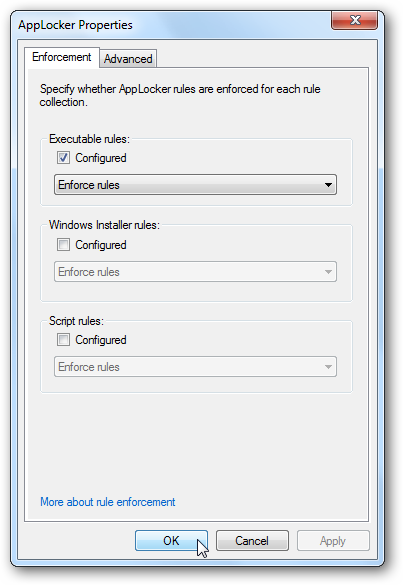 Under Configure Rule Enforcement click on the Configure rule enforcement link. 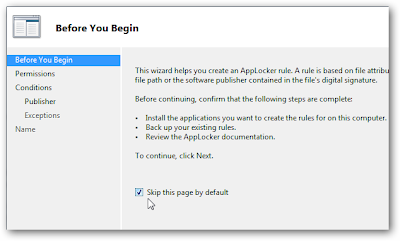 In this scenario, Jack wastes time playing games like Minesweeper and Solitaire when he should be doing his homework, so we are going to block all of the games. 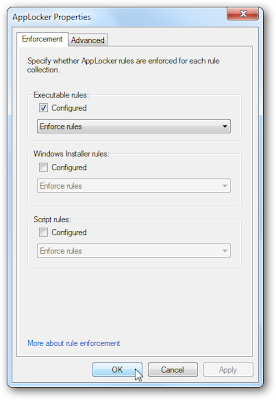 After completing the steps above, under the Overview section click on Executable Rules. Select Permissions under Action select Deny. 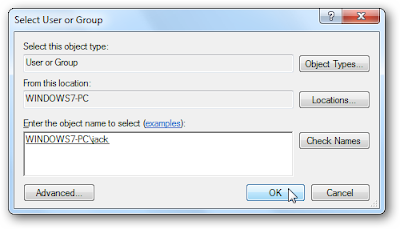 Add the user you want to block, in this case it’s Jack. 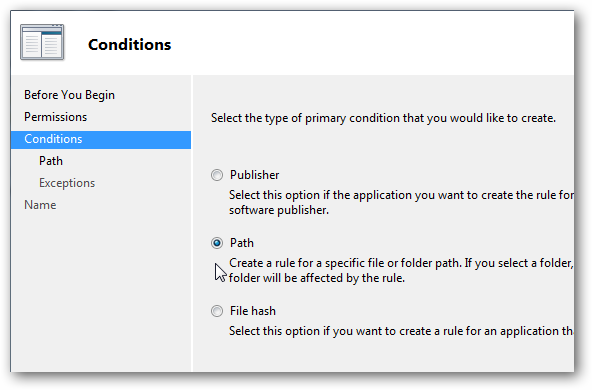 In Conditions you can select from Publisher, Path or File hash. 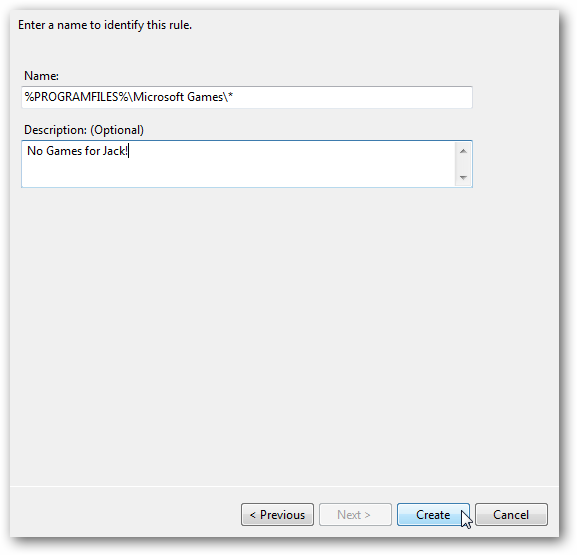 We don’t want Jack to have access to any of the games. so we will select Path. 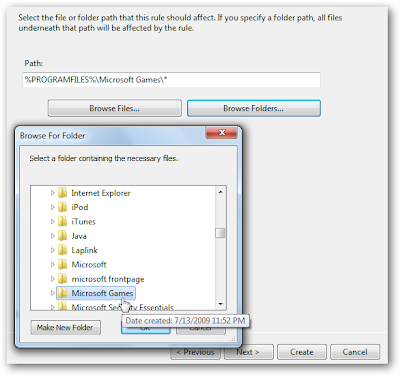 Click on Browse Folders and select the Microsoft Games folder. 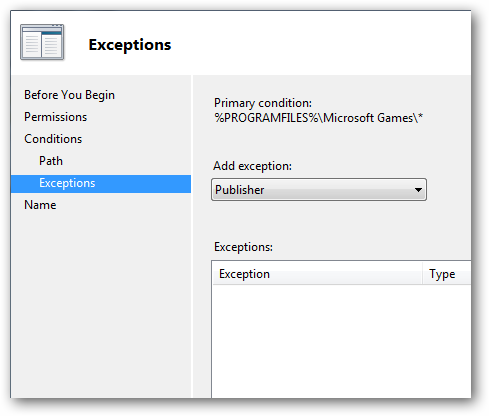 In the next screen you could add Exceptions like allowing certain files, but because we are blocking the entire games directory we’ll skip to the next screen. Here you can add a description to the rule so you can keep track of them is there are several rules configured. 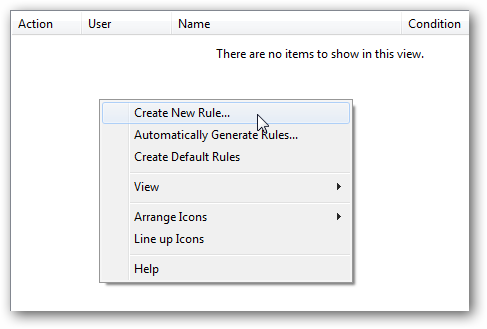 When everything looks right click on Create. 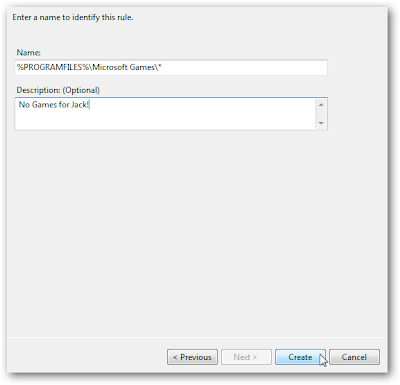 Now you will see the default rules and the new one you created showing Jack is denied access to the Microsoft Games directory. 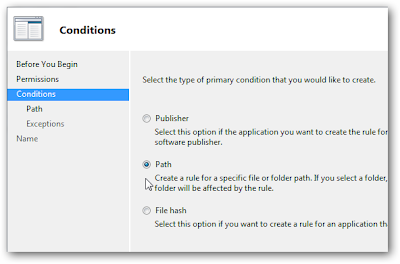 After creating the rule make sure and go into services and make Application Identification is started and that it’s set to automatically start as well otherwise the rules won’t work. By default this service is not started so you will need to enable it. Now, when Jack logs into his user account and tries to access the games he will only see the following message. 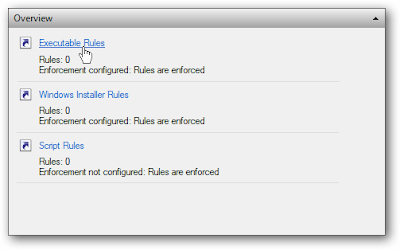 Only an Administrator can go in and change the rule. 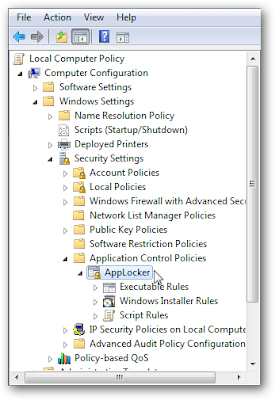 Use caution when configuring the rules and only start the Application Identity service after everything looks right. 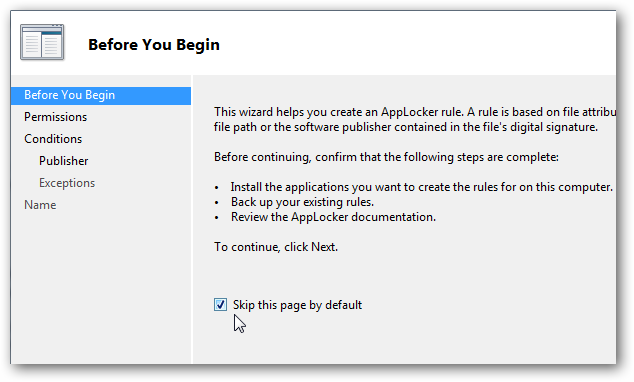 Otherwise you have the potential of locking yourself out of all applications including AppLocker.AppLocker is a powerful feature included in Windows 7 and we showed you a basic rule so you can get an idea of how it works. 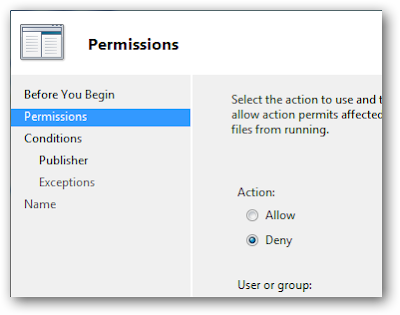 In the future we’ll take a look at more complex tasks to accomplish and gain tight control over what programs each user is able to access.